However, by following the 8-Step Process outlined by Dr. Kotter, organizations can avoid failure and become adept at change. By improving their ability to change, organizations can increase their chances of success, both today and in the future. Without this ability to adapt continuously, organizations cannot thrive. Dr. Kotter has proven over his years of research that following The 8-Step Process for Leading Change will help organizations succeed in an ever-changing world. This isn’t simply a matter of showing people poor sales statistics or talking about increased competition. Open an honest and convincing dialogue about what’s happening in the marketplace and with your competition. If many people start talking about the change you propose, the urgency can build and feed on itself. 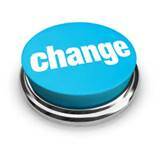 Kotter suggests that for change to be successful, 75 percent of a company’s management needs to “buy into” the change. In other words, you have to work really hard on Step 1, and spend significant time and energy building urgency, before moving onto the next steps. Don’t panic and jump in too fast because you don’t want to risk further short-term losses – if you act without proper preparation, you could be in for a very bumpy ride. Convince people that change is necessary. This often takes strong leadership and visible support from key people within your organization. Managing change isn’t enough – you have to lead it. You can find effective change leaders throughout your organization – they don’t necessarily follow the traditional company hierarchy. To lead change, you need to bring together a coalition, or team, of influential people whose power comes from a variety of sources, including job title, status, expertise, and political importance. Once formed, your “change coalition” needs to work as a team, continuing to build urgency and momentum around the need for change. Identify the true leaders in your organization. A clear vision can help everyone understand why you’re asking them to do something. When people see for themselves what you’re trying to achieve, then the directives they’re given tend to make more sense. Develop a short summary (one or two sentences) that captures what you “see” as the future of your organization. Practice your “vision speech” often. Don’t just call special meetings to communicate your vision. Instead, talk about it every chance you get. Use the vision daily to make decisions and solve problems. When you keep it fresh on everyone’s minds, they’ll remember it and respond to it. It’s also important to “walk the talk.” What you do is far more important – and believable – than what you say. Demonstrate the kind of behavior that you want from others. Openly and honestly address peoples’ concerns and anxieties. If you follow these steps and reach this point in the change process, you’ve been talking about your vision and building buy-in from all levels of the organization. Hopefully, your staff wants to get busy and achieve the benefits that you’ve been promoting. Look at your organizational structure, job descriptions, and performance and compensation systems to ensure they’re in line with your vision. Nothing motivates more than success. Give your company a taste of victory early in the change process. Within a short time frame (this could be a month or a year, depending on the type of change), you’ll want to have results that your staff can see. Without this, critics and negative thinkers might hurt your progress. Create short-term targets – not just one long-term goal. You want each smaller target to be achievable, with little room for failure. Your change team may have to work very hard to come up with these targets, but each “win” that you produce can further motivate the entire staff. Thoroughly analyze the potential pros and cons of your targets. If you don’t succeed with an early goal, it can hurt your entire change initiative. After every win, analyze what went right and what needs improving. Make continuous efforts to ensure that the change is seen in every aspect of your organization. This will help give that change a solid place in your organization’s culture. It’s also important that your company’s leaders continue to support the change. This includes existing staff and new leaders who are brought in. If you lose the support of these people, you might end up back where you started. Next > GROW, SUCCESS, STEPPPA, WHAT !..